The DoubleTree by Hilton Hotel is in downtown Modesto, next to Centre Plaza Convention Center, and 3 blocks from Gallo Center for the Arts. A free shuttle service from the airport is available on request, and Yosemite National Park and Napa Valley are both around 2 hours’ drive away. 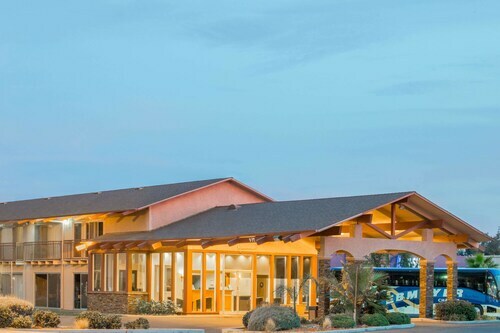 Situated in Ceres, this hotel is within 6 mi (10 km) of Modesto Municipal Golf Course, E and J Gallo Winery, and Modesto Arch. Gallo Center for the Arts and Dryden Park Golf Course are also within 6 mi (10 km). Situated in Modesto, this motel is within 3 mi (5 km) of E and J Gallo Winery, Creekside Golf Course, and McHenry Museum and Mansion. State Theatre of Modesto and Gallo Center for the Arts are also within 3 mi (5 km). Situated in Ceres, this hotel is within 3 mi (5 km) of Modesto Municipal Golf Course, Modesto Arch, and Gallo Center for the Arts. E and J Gallo Winery is 2.9 mi (4.7 km) away. 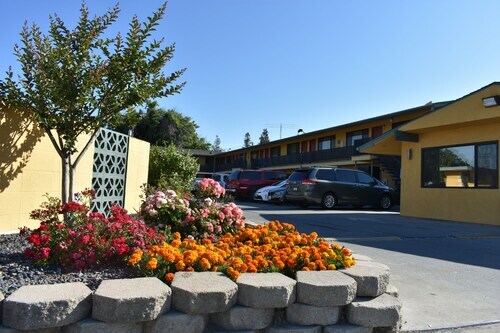 Located in the heart of Modesto, this motel is within a 10-minute walk of McHenry Museum and Mansion, State Theatre of Modesto, and Gallo Center for the Arts. Modesto Arch and E and J Gallo Winery are also within 1 mi (2 km). 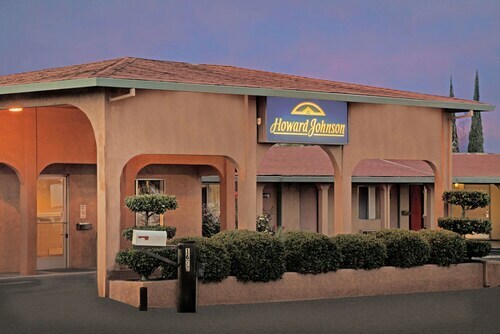 Located in the heart of Modesto, this motel is within a 15-minute walk of State Theatre of Modesto, Modesto Junior College East Campus, and McHenry Museum and Mansion. Gallo Center for the Arts and Modesto Arch are also within 15 minutes. Situated near the airport, this motel is within 3 mi (5 km) of Modesto Municipal Golf Course, Modesto Arch, and Gallo Center for the Arts. E and J Gallo Winery and State Theatre of Modesto are also within 3 mi (5 km). 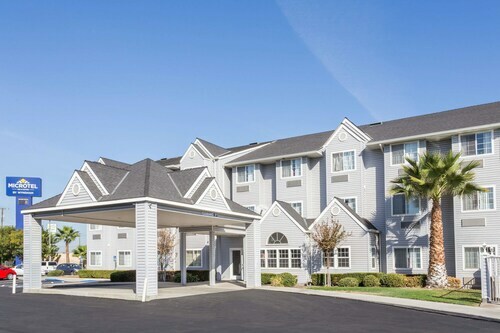 Situated in Modesto, this hotel is within 2 mi (3 km) of McHenry Museum and Mansion, State Theatre of Modesto, and Modesto Junior College East Campus. Gallo Center for the Arts and Modesto Arch are also within 2 mi (3 km).